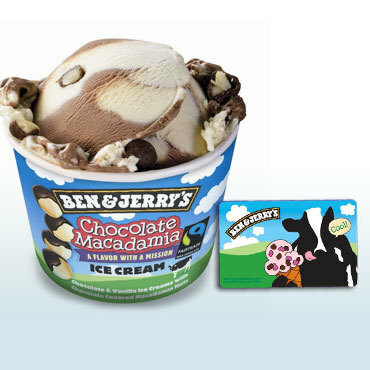 Here is another great gift card offer from Saveology.com - $5 For A $10 Ben & Jerry's Gift Card - Exclusively For You! ($10 Value) . Remember, their gift card offers are valid for new customers only. So, if you already have an account create a new one with a different e-mail address.